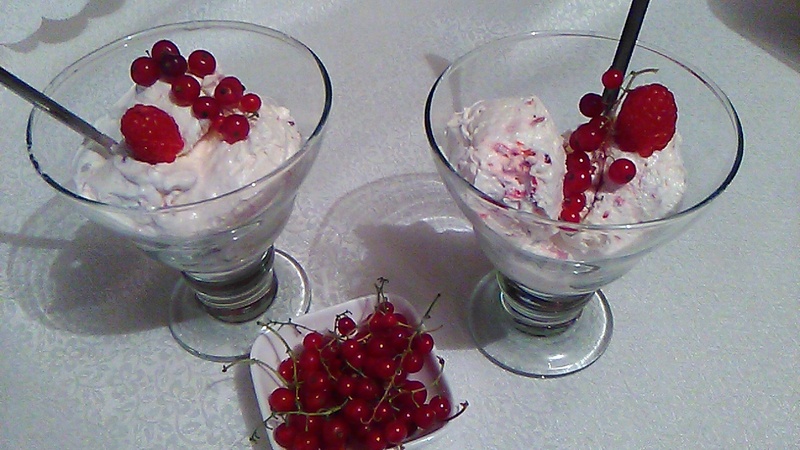 Homemade ice cream with raspberries and currants. This is the fastest way to make ice refreshments in these summer fires, quickly and easily. 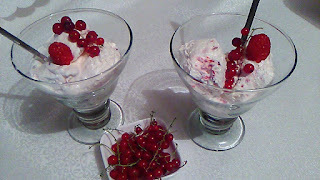 And you will have a lot of ice cream and for his loved ones there is a lot of delicious and homely summer dessert. 4 tablespoons of powdered sugar or immorality that does not like much treasure. In the pour cold milk from the refrigerator, add ice cream powder. 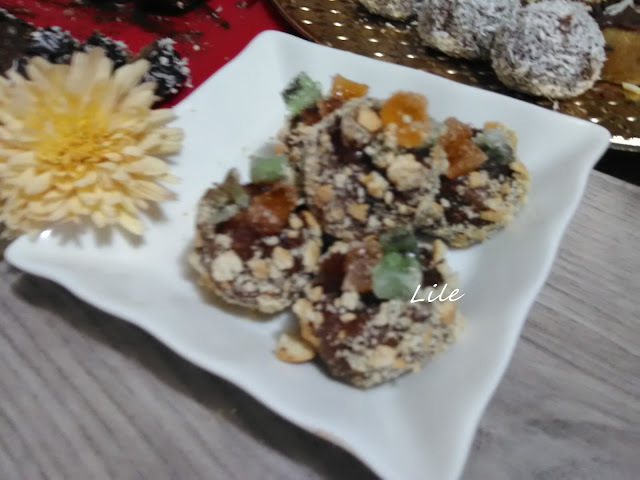 At the same time, you can add a powdered powder (because the two ingredients can also be mixed together) and add sugar in powder. 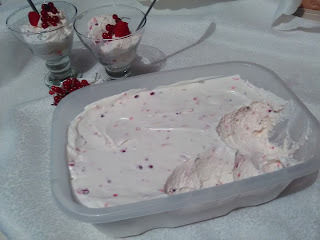 Wake at the highest speed, mixers 5 min.mix all nice to thicken ice cream. When it is thick, add sweet and fresh raspberries (maybe from a refrigerator if you do not have fresh ones). Mix the ingredients again and mix the fruit, after this procedure, we put ice cream in the refrigerator to cool down to serve. This is the fastest and delicious summer refreshment.